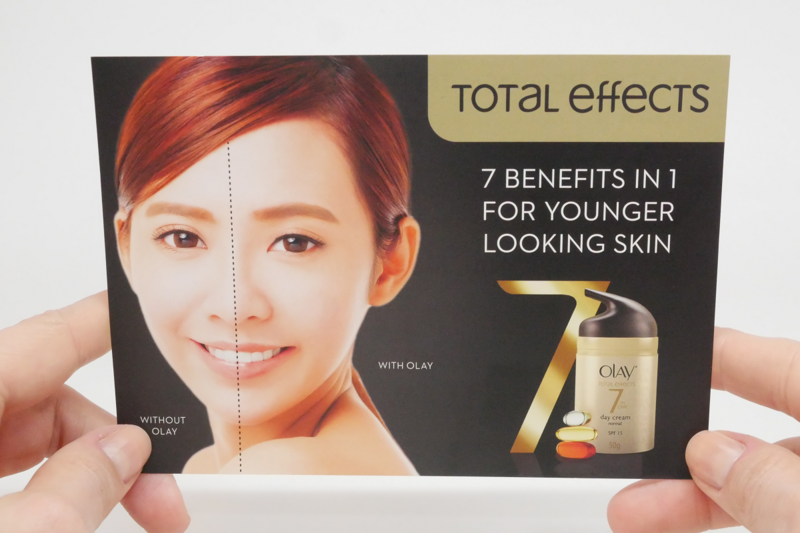 “7 Benefits in 1 – for younger looking skin” was the primary message the OLAY team wanted to illustrate with our demo card – while engaging their consumers in a tangible and easy way. Take a look at this unique activation tool. 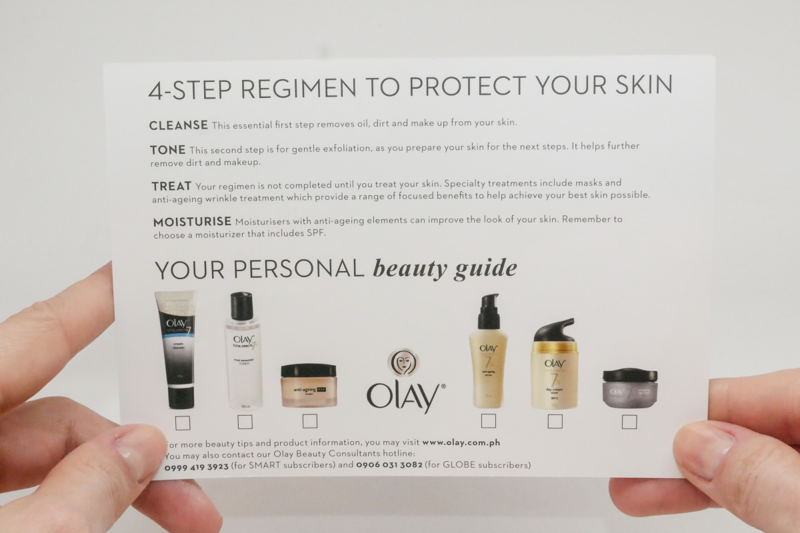 The OLAY team wanted to show consumers the superiority of their Total Effects SPF product by showing how it protects the skin against sun damage. Other than proving this claim, the activation tool had an omni-channel fit as well. 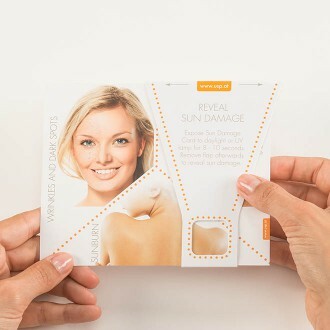 At USP we knew that translating the needs of OLAY Total Effects to an easy, yet, unique brand activation tool was one of the key goals – along with proving the product’s claims through a haptic experience. Initiating the creative process, USP sent various concepts and prototypes, varying in shape and size, to the L’Oréal Paris team. 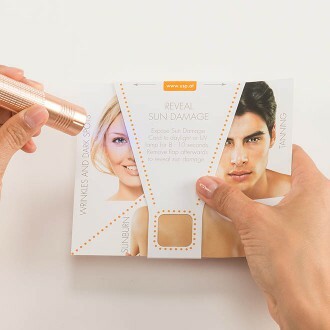 Both sides agreed: the UV Protection technology was the perfect match for the Total Effects campaign. After concluding how to implement the technology in the tool, it was USP’s turn to deliver the artwork and take care of the printing and on-time delivery. 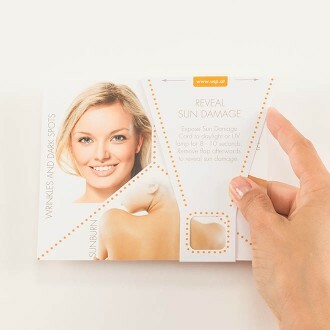 The UV Protection Test enabled OLAY to educate their consumers about the harmful effects of UV rays. 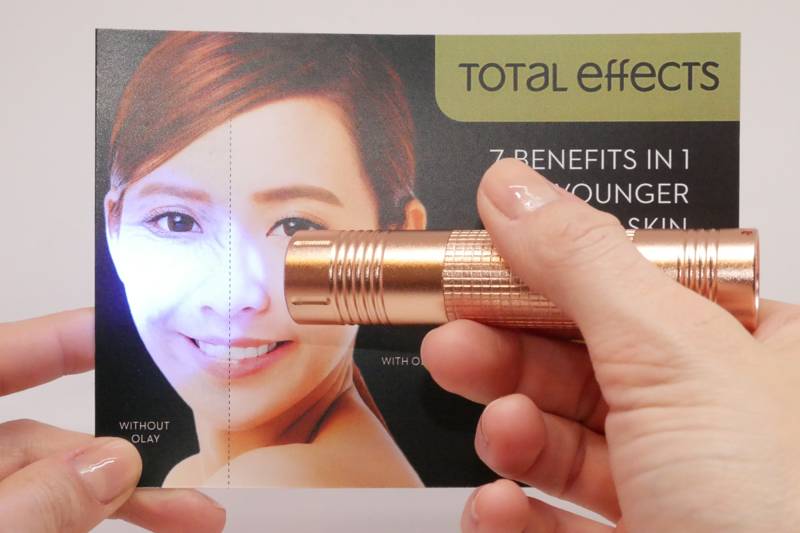 Other than that, this technology can be used as a before/after test as well – to prove UV protection directly to the consumer. 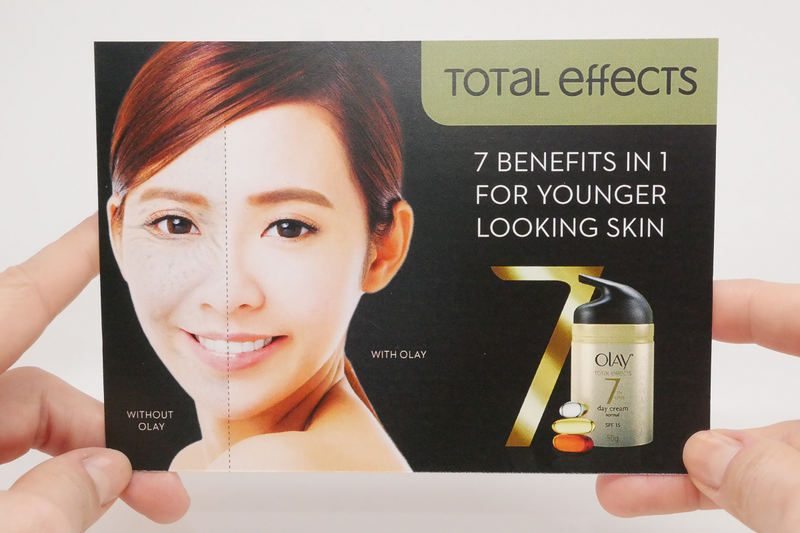 Together with a personal beauty guide the OLAY Total Effects Tool excelled in engaging consumers. Watch how the OLAY side of the face stays flawless, while wrinkles and sunburn appear on the unprotected side.